Situated on the Sardar Patel Road, Hotel Luciya International, Mysore is close to all major tourist locations in Mysore. The ease of travel the hotel brings to the table makes it a favourite among holiday-goers and businessmen alike. 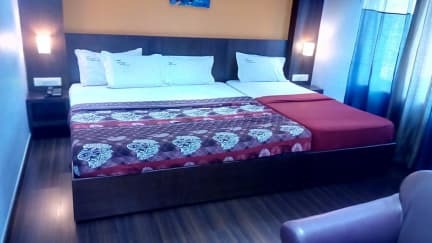 Hotel Luciya International, Mysore features exquisitely decorated rooms that are equipped with contemporary amenities and services. 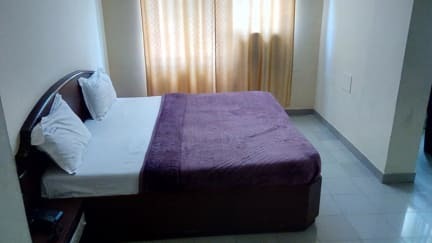 No matter the size of the group or the reason for visit, the hotel has a multitude of rooms for the guests to pick from to suit their needs. The guests can choose from 3 elegantly furnished and comfortable room types; Standard Room, Deluxe Room and the Super Deluxe Room.